Just announced! 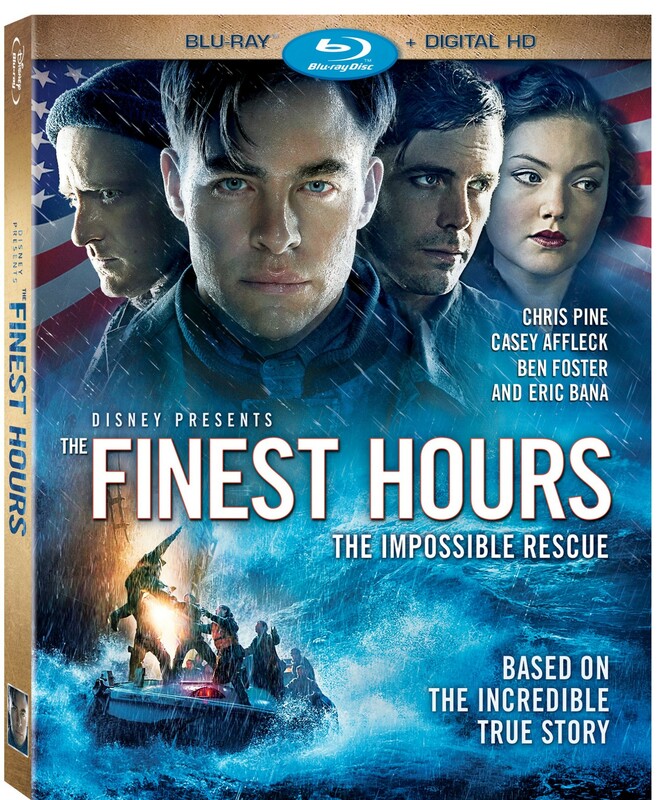 “The Finest Hours“, an action thriller based on a true story of a small boat rescue of epic proportions will be released on Digital HD, Blu-Ray Combo-Pack Disney Movies Anywhere, and DVD on May 24th. BROTHERHOOD – Cast members reflect on their friendships during the filming of the movie. THE FINEST INSPIRATION: THE U.S. COAST GUARD – Meet the people who put their lives on the line for others. The DVD bonus features will include the “Brotherhood” and “The Finest Inspiration” features. The film, released by The Walt Disney Studios, is directed by Craig Gillespie (“Million Dollar Arm”), and stars Chris Pine (“Star Trek” films, also previously did the Disney film “Princess Diaries 2”), Casey Affleck (“Interstellar”), Ben Foster (“3:10 to Yuma”), Holliday Grainger (“Cinderella”), John Ortiz (“Silver Linings Playbook”); and Eric Bana (“Lone Survivor”). It is based on the true story of an amazing small-boat rescue done by the Coast Guard in 1952, where four men in only a 12-seat boat venture off into a hurricane off the coast of Cape Cod to heroically rescue men who are stranded out at sea. Stay tuned for our review of the Blu-Ray Combo pack closer to its May 24th release date. I can’t wait to check out this heroic, adventurous true story, as well as the bonus documentary and featurettes!